Many thought Amazon’s Dash Buttons were an April Fool’s joke since they were announced on April 1, 2015. However, they’re real—and since release, they’ve become an easy way to reorder common household products with the touch of a button. With a little work, you can actually modify Dash Buttons to perform a variety of tasks without ever contacting Amazon. Whether you want to use Dash Buttons for their intended purpose or want to hack them to do something new, here’s what you need to know about these devices. What Is an Amazon Dash Button? 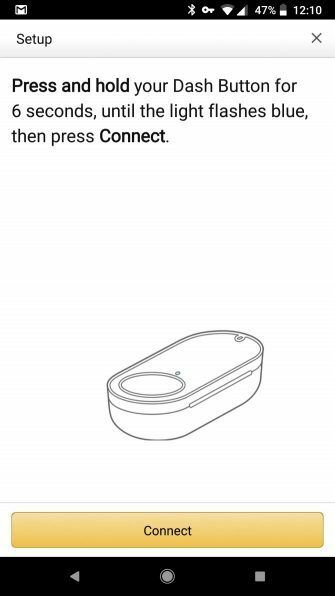 A Dash Button is a simple device sold by Amazon. They’re exclusively for Prime members, and allow you to order all kinds of consumable household products just by pressing them. Dash Buttons are about the size of a pack of gum. You can stick them around your house using the adhesive on the back or the included clip. Once you set them up, they connect to your home Wi-Fi and order the products you’ve specified when you press them. Amazon sells dozens of Dash Buttons for various brands. Options include Tide, Clorox, Pop-Tarts, Dial, and many more. Each one is capable of ordering several products that match the brand. For instance, a Red Bull button lets you choose between original Red Bull, sugar-free Red Bull, and similar. You can see these on the Dash Button’s Amazon page. Dash Buttons offer a few benefits. Amazon offers a $5 credit after your first Dash order, essentially making your first one free. And since you’re a Prime customer, you get free shipping on all orders. Remember that Dash Buttons aren’t the only way to order household goods conveniently from Amazon. The company also offers Prime Pantry, which lets you set up automatic reordering of home goods. And you can also shop with your voice using Alexa 4 Big Problems With Alexa Voice Shopping and How to Fix Them 4 Big Problems With Alexa Voice Shopping and How to Fix Them Amazon's Echo devices can order you products with just your voice. Here are some big risks and potential issues you should know about before you jump into this feature. Read More . How Do Amazon Dash Buttons Work? The Dash Button is a tiny computer. It holds a single AA battery that can power the device for up to a thousand button presses, according to Amazon. This is because the device is “asleep” until you press it. Whenever you set one up, your phone sends network configuration information to the Dash Button via ultrasonic signals that it picks up with a built-in microphone. Setting up a button creates a unique serial number that registers with Amazon, so it knows what you want to order with it. When you press the button, the device wakes up, flashes a light, and connects to Wi-Fi. It then sends a simple message to Amazon with the details of your order. If everything goes through, you get a green light. Otherwise, the light flashes red. Amazon includes a few protections with them too. Order protection means that the pressing the button won’t place another order until your current one arrives. And ordering with a Dash Button sends a notification to your phone, letting you easily cancel accidental orders within 30 minutes. Getting started with your Amazon Dash Button is easy. If you haven’t already, order one or more Dash Buttons from Amazon for the products you want to use. Once they arrive, grab your iPhone or Android phone. Make sure you’ve enabled Wi-Fi and Bluetooth, and connect to your home Wi-Fi network. Install the Amazon app (Android, iOS) if you don’t have it already, and sign into your account. Next, slide open the left menu, and choose Your Account. Under the Dash Buttons & Devices header, choose Set up a new device followed by Dash Button. Tap Agree & Get Started to confirm you agree with the terms. From here, just follow the prompts to set up your Dash Button. You’ll need to hold the button for several seconds, then connect your phone to it and enter your Wi-Fi password. Before you finish, you’ll need to choose which product you want to order and confirm your 1-Click ordering details so Amazon knows how to charge you. That’s all it takes! You can return to this menu later to change what products your Dash Buttons order. Amazon also offers virtual Dash Buttons for Prime members 7 New Amazon Prime Benefits You Didn't Know About 7 New Amazon Prime Benefits You Didn't Know About You don't need Prime to benefit from Amazon. But Amazon Prime comes with a few lesser known benefits you may not have tried yet. Read More in case you don’t want to order physical buttons. These mimic Dash Button functionality inside the Amazon app on your phone, as well as the homepage on Amazon’s desktop website. On your phone, head to Your Account > Dash Buttons & Devices > Your virtual Dash Buttons to see yours. Amazon may have already added some Dash Buttons for products you’ve ordered. You can rearrange them here. To add a virtual Dash Button, browse for a product with Prime shipping. Look for the Add to your Dash buttons prompt to add it to your collection. You can then click the Order button for easy ordering anytime. We’ll discuss how to hack standard Dash Buttons for other purposes below, but Amazon offers a dedicated “smart button” as well. The Amazon Web Services (AWS) Internet of Things (IoT) Button is more expensive than the others, but lets you code logic for the button in Amazon’s cloud. You can set it up to control smart home devices, place a phone call, order a pizza, and much more. If the below hacks don’t go far enough for you, the AWS IoT Button is worth a look. You might also try creating your own Wi-Fi button How to Make Your Own Wi-Fi Connected Button With ESP8266 How to Make Your Own Wi-Fi Connected Button With ESP8266 In this tutorial, you'll learn how to create a Wi-Fi-enabled button using NodeMCU and IFTTT. Read More if you’re interested in a DIY project. If you’ve got some new Dash Buttons sitting around or want to spend a few dollars to dip your toe into the Internet of Things, here are some of the coolest Dash Button hacks we’ve found. Note that beyond the initial setup, setting up these Amazon Dash hacks requires a bit of programming knowledge. As a matter of scope, we won’t be going in-depth into any code. Instead, we’ll be linking to the best setups. The developers have provided instructions for replicating them on your own, so it shouldn’t be too hard to get going. Of course, you’ll need an Amazon Dash Button. If you don’t have Prime, you can try Prime free for 30 days and order a button during your trial. You don’t need to keep the subscription since you won’t actually buy items from Amazon with the button. Dash Buttons occasionally drop to $1 per unit, so you may want to wait for a sale if you’re just buying a button for messing around. Feel free to browse the Dash Button collection and choose your favorites. The brand on the button won’t have any effect on the hacking. If you’re ordering several buttons to perform different functions, it’s a good idea to buy ones that are different colors and thus easy to distinguish. Once you’ve got a Dash Button, you’ll need to start setting it up like normal. 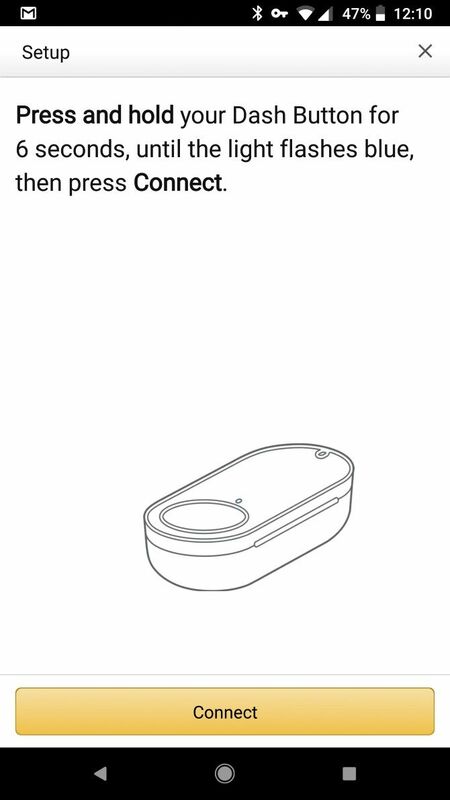 Follow our instructions above to set the Button up (see Amazon’s instructions if you need more help), but stop at the step where it asks you to choose your product. At this point, simply close the app. Now your Button can connect to your wireless network, but will not order any products when pressed. This is right where we want it. Next, you’ll need to identify the button on your network. For a guide on this, have a look at the original Dash Button hacking article, written by Ted Benson. He’s the one who initially hacked Dash Buttons to track his baby’s nighttime habits, and explains how this works in the post. To save battery, Dash Buttons only turn on when pressed, which means they send a “Hello?” signal to your network every time you push one. Using this signal, you can identify when a button is pressed and use it to send a signal to other apps and services, which is where the fun comes in. If you find the below hacks too complicated, check out Buttonjoy, created by the same Ted Benson. This sells ready-to-use buttons that work for several functions. Tracking baby data is great, but unless you have a young one, that’s not useful for you. Here’s a collection of Amazon Dash Button hacks from around the web to get you started. If you have programming know-how, you can surely come up with a variety of other uses! There are a ton of ways to order food with the internet these days. Some of the methods from Domino’s Pizza border on ridiculous, including a smartwatch app, sending a pizza emoji in a text message, and ordering from your car. For the geeky types, they actually have a pizza-ordering API that you can utilize to your advantage with your Dash Button. For some activities, you may care about both when you start and finish. Instead of manually logging your time, a Dash Button can help with this—just press it when you begin and when you’re finished. Using the below script, you can keep track of your times in a Google Sheet. We’ve written a guide on using your Samsung SmartThings Hub and how to use Philips Hue smart bulbs. 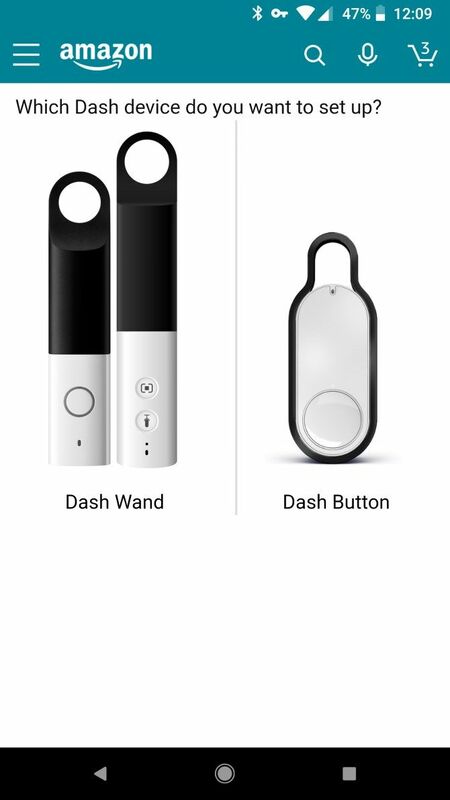 Using a couple of Amazon Dash hacks, you can interact with both using just one touch. Despite the usefulness of messaging apps, SMS remains a constant presence on our phones. While there are ways to send a text from a PC if you don’t have your phone, what about sending a text with a button? You can imagine the possibilities here; having one or a few canned messages ready at the touch of a button could be quite helpful. We’ve praised IFTTT extensively for its powerful ability to make nearly any web service interact with another. If none of the ideas above have suited your fancy, you’ll be able to come up with something for sure here. You can use nearly any outgoing channel in IFTTT with a Dash Button. You could set up a silent doorbell by sending a notification to your phone, send a tweet, set up a hidden emergency button that contacts someone, or call your own phone. The possibilities are only limited by how creative you can get with IFTTT. Want to Rickroll your friends with nothing more than a button press? This one is for you. It doesn’t involve any trickery or fake links—just your Amazon Dash and one of the internet’s oldest pranks. What Will You Hack With Amazon Dash? 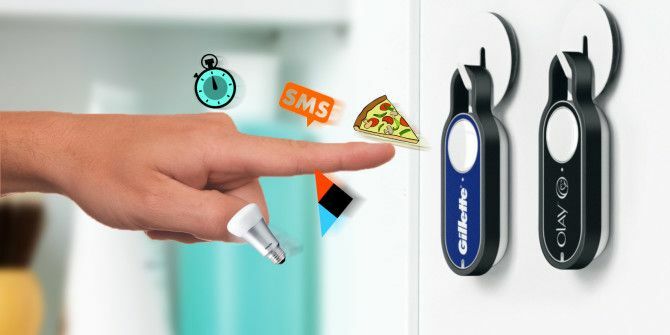 Of course, this is just a sampling of the best Amazon Dash Button hacks you can perform. With IFTTT you’re never far away from a new opportunity—the most limiting aspect could be that the $5 price adds up! Amazon hasn’t changed the functionality of Dash Buttons despite these discoveries, so grab a button and start tinkering. Love this idea and want to go further? Check out more smart buttons and how they’re useful How Smart Buttons Can Make Home Control Easier Than Ever Before How Smart Buttons Can Make Home Control Easier Than Ever Before Buttons are a great way to quickly control your smart home without using a smartphone or connected speaker. Here's how to use them and two of the best options on the market. Read More . Explore more about: Amazon Prime, Home Automation, .